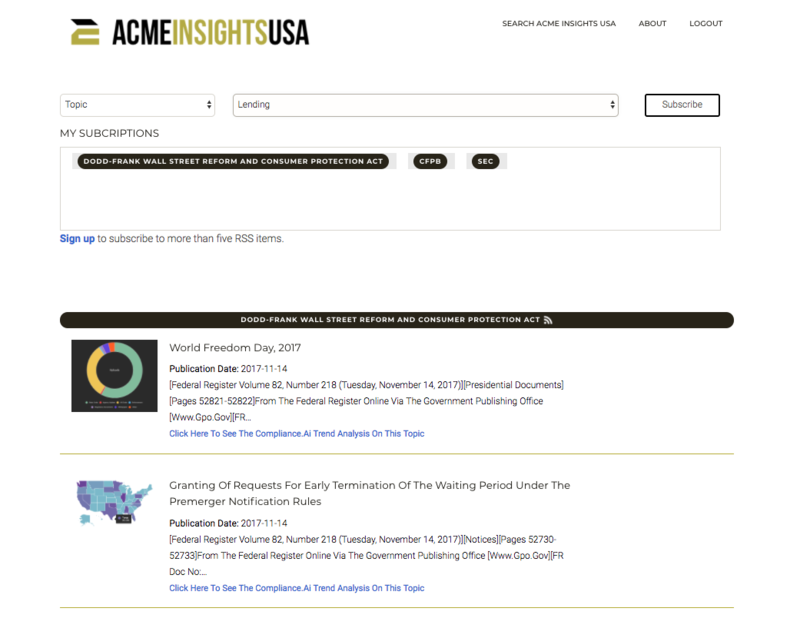 The Acme Insights USA RSS Connector application relies on the Compliance.ai API to provide topic/filter-based RSS-formatted feeds to RSS-compliant readers. Users can login using a browser interface, through social-login. - Users can subscribe to up to 5 filters either Agency sources or topics, each unique selection will represent a token in the url. 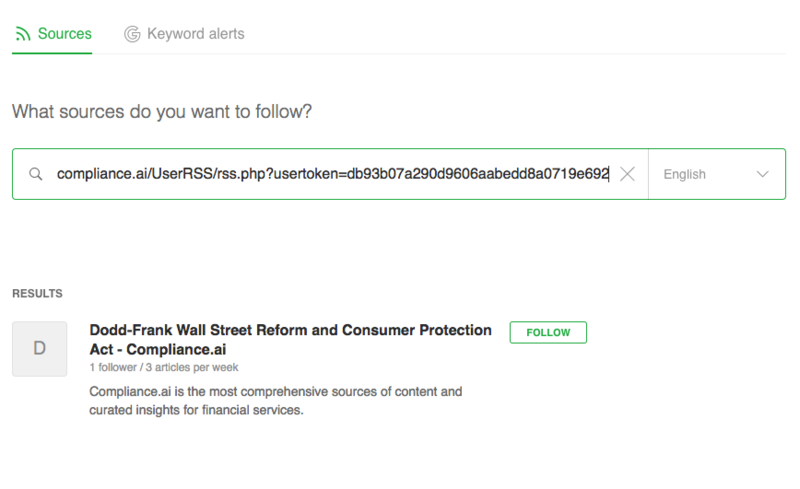 To subscribe to more than 5 filters, please create an account on Developer.Compliance.ai. Each filter will return up to 20 documents or news items. - Users can view the results of their content subscription by simply copying the link then pasting it into 3rd party RSS reader, like Feedly. 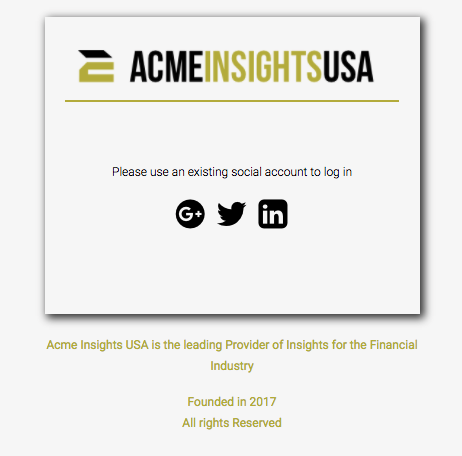 - The look and feel of the view is similar to Acme Insights USA, with the following differences: No Google results, and 50 results max (instead of 3). 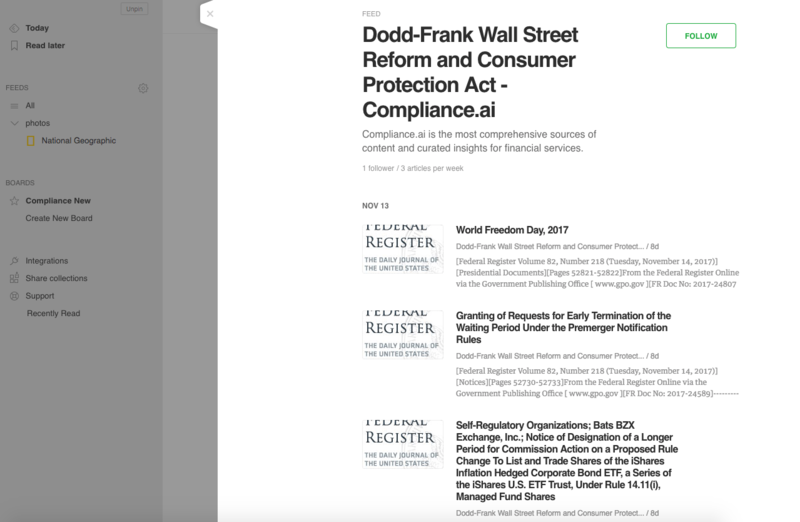 The solution allows users to view the same RSS content using a 3rd party/off the shelf RSS reader application (including ones listed above). - The solution restricts subscriptions to only five-filters per user unless the user has created a Compliance.ai Developer account. - The filter will be processed a maximum frequency of 4 times a day. The application will check for new content-feeds based on the set filters, and only based on user invoked requests, which can never exceed the maximum frequency.